You are here: Home / Love Speaks / Holy Coincidence, Batman! I use the word stumble in the definition because that is how we perceive the situation; in the most incredible of odds against it, there in front of you is someone familiar. And God put them there. Recently whilst in England I met & became instant friends with a wonderful couple, Julie & Nigel, who are worship leaders, at a Conference. I did not even think to ask them where in the country they lived. I assumed London. 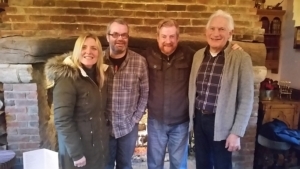 A week later, I had traveled 200 miles away to the south of England, and I was meeting Eric Delve, a dear friend and former mentor in evangelism, for a meal at a pub. We decided to go to this particular pub, (literally out in the country, in the middle of nowhere) quite spontaneously. In fact Eric had driven 90 minutes from his home just to meet me in this unfamiliar place. Soon after settling into a table near the fireplace, I looked up and noticed this rather familiar-looking couple arrive and settle in next to us. I stared at them for a moment and thought, surely I know them? And sure enough, it was none other than Julie & Nigel! It turns out that in all the thousands of places in England to go for a cup of tea, they actually lived quite near this pub, and there they were! And so HE had. We enjoyed several hours of wonderful fellowship. The odds would be, in the natural, one-in-a-million that we would all have met at that particular place and that particular time together. We all felt the love of God the Father for us. So, Divine appointment = Divine love! God arranges His divine appointments to display His love for you personally. That is a Holy Coincidence, Batman! One of my favorite Revivalists of the 20th century was an Irishman named J. Edwin Orr. In the 1930s, the Father put a hunger for revival into this young man. With only a bicycle and a little money, but with a huge heart and massive faith in the provision of the Father, he set out upon a journey. His mission was to sow seeds of prayer for revival for all of the United Kingdom. “On the night of the 19th of March, we were approaching Edinburgh on our bicycles. I was traveling at the time with a brother, Stanley. We were singing the chorus as we rode, ‘No, Never alone!’ It was getting rather late, 10:30 p.m.
“Where are we going to sleep tonight?” Stanley asked suddenly. “I’m sure I don’t know,” said I. “What are we going to do about it?” he persisted. So we rode on, and prayed simply that the Father would provide us with bed and breakfast. “When we arrived at the house, we made a remarkable discovery. “These friends, who had seen me only once before, had THAT DAY received from South America a letter enquiring for me. The letter was lying on the table when I turned up at their front door! Delightful hospitality was offered and enjoyed.” –J. Edwin Orr, “10,000 Miles of Miracles in Britain” published originally in 1932. 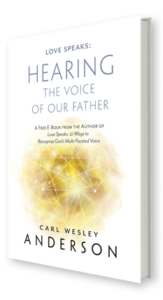 So from this day on, begin to recognize that in every “divine appointment” there is the handiwork of your personal Father making the situation wonderful, so that you will know His love and direction for you. 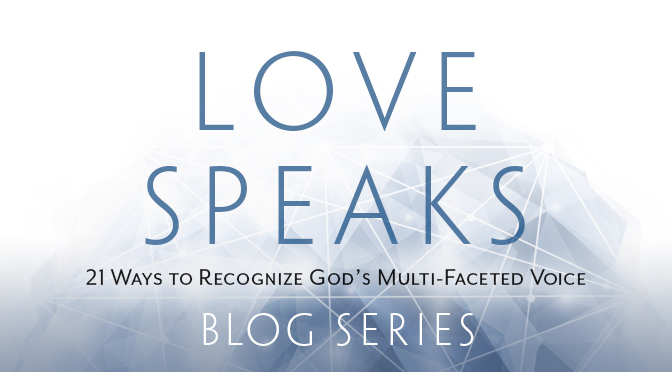 ***This Blog Post is an excerpt from, “Love Speaks: 21 Ways to Recognize God’s Multi-Faceted Voice.” Please visit The Official Love Speaks Website for more info! https://borntoblaze.com/wp-content/uploads/LS-WordPressHeader.jpg 372 672 Carl https://borntoblaze.com/wp-content/uploads/2015/05/BtoBLogo-Web-125-matt.png Carl2017-02-05 13:45:382018-10-23 12:52:46Holy Coincidence, Batman! Prepare for Providence! Go To The Toilet: NOW!